Editor's note: This article was originally posted with inadvertent citation errors in the first two paragraphs of background. Those errors were corrected as soon as they were found by the author, the same day of the original post. MYTH: H.R. 4261 could eliminate research and benefits for veterans whose Persian Gulf service was after June 30, 1991. 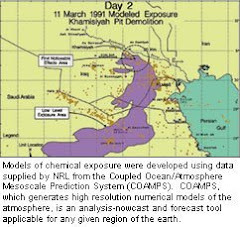 Research reviews on Gulf War health issues conducted by the National Academy of Sciences (NAS) on behalf of VA are specified in 38 U.S.C. 527 note Section 706 and 38 U.S.C. 1117 note. Benefits for veterans with service in the Persian Gulf theatre of operations are specified elsewhere in the law, including at 38 U.S.C. 1117. The definition of a Persian Gulf War veteran, which is used in federal law governing VA to provide benefits, healthcare, and other VA provisions to veterans with service in the Persian Gulf from 1990 through to the present, is specified at 38 U.S.C. 101(33). FACT: H.R. 4261 does not change the RAC’s purposefully limited research scope, which has always been, is now, and under the bill would remain focused solely on 1990-91 Gulf War veterans. H.R. 4261 does not change any VA healthcare or benefits laws. H.R. 4261 makes changes only to 38 U.S.C. 527 note Section 707 (the RAC). H.R. 4261 makes no changes to the many other provisions of 38 U.S.C. 527, including no changes to the VA Secretary’s review of effectiveness of 527 programs, no changes to the VA Secretary’s evaluation and data collection, no changes to the Burn Pit Registry, no changes to Section 702 (the Gulf War Registry), no changes to Section 703 (health exams), no changes to Section 704 (expansion of Gulf War Registry), no changes to Section 705 (study related to the Gulf War Registry), no changes to Section 706 (Agreement with NAS), no changes to Section 708 (defining Persian Gulf War broadly to include all service since 1990 to the present), and no changes to the Homeless veterans provision. H.R. 4261 makes no changes to any VA benefits laws, including no changes to 38 U.S.C. 1117, including no changes to compensation for undiagnosed illness, no changes to compensation for a medically unexplained chronic multisymptom illness such as chronic fatigue syndrome, fibromyalgia, or irritable bowel syndrome, no changes to compensation for presumptive conditions as determined by the VA Secretary, no changes to the process for determination of VA presumptives, no changes to the NAS agreement, and no changes to any benefits provisions whatsoever. H.R. 4261 makes no changes to the 38 U.S.C. 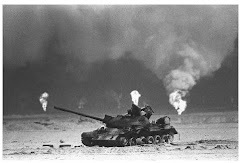 101(33) definition of a Persian Gulf War veteran, which includes service from 1990 to the present.